Among backpackers, the question of which backpacking tent to buy is a much debated subject. Furthermore, there is a fervent camp of ultralight backpackers that have abandoned tents for alternative shelters. Some of the more popular options include bivy sacks, tarps, and hammocks. If the weather forecast is good, sometimes I ditch a shelter altogether to save weight. In these instances, I lay down a ground cloth, sleeping pad, and sleeping bag with a fleece liner to increase warmth. I love to stargaze as I doze off and am always excited to spot satellites and shooting stars. For instance, I once saw a fireball streak cross the sky in the La Sal Mountains near Moab, Utah. That being said, for most backpacking trips I bring a tent. The increased protection from the elements, extra insulation, privacy, and feeling of safety that a tent provides are hard to beat. For those same reasons, most of the friends and family I backpack with carry tents to the backcountry. Based on the endorsements, complaints and years of field tests conducted by myself and campmates, I have whittled down a list of the ten best backpacking tents. All of the tents that made the list are lightweight, compact, durable, and affordable. To learn more about what to look for and how to make an informed decision, read the section below. If you are ready to browse tents, scroll past it to see the full list. As you shop for a tent, one of the most important specifications to look at is weight. Out of all the gear you carry on a backpacking trip, tents tend to be one of the heaviest items. In many respects, we are fortunate enough to live in a lightweight gear renaissance. 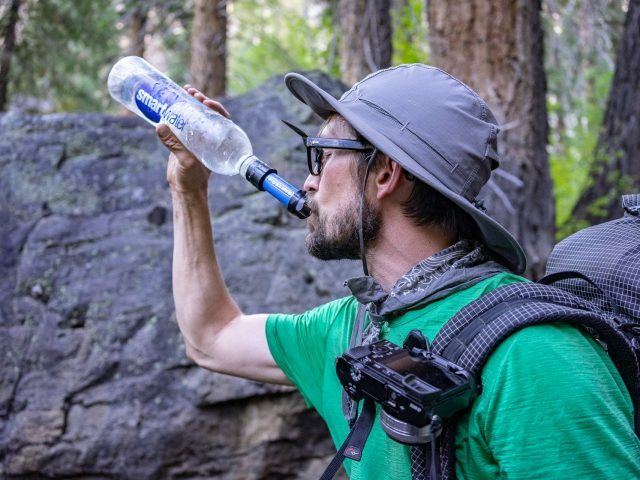 Every day, more backpackers are embracing the ultralight mentality and shedding weight from their packs. To keep up with demand, both established and startup outdoor companies are creating new lightweight gear. Of course, not all of it is made well. In fact, fragility is likely the number one criticism of lightweight gear in general. However, I am not convinced that one must compromise durability or performance to lighten up. For that reason, I have excluded certain tents from this list to ensure quality. Trail Weight: Weight of the poles, fly, and body. Does not include stakes, guy lines, or stuff sack. Minimum Weight: Same as above. Packed Weight: Actual weight of the tent package. Includes poles, fly, body, stakes, guy lines, stuff sack, etc. Fly Weight: Weight of the poles, fly, and footprint. Denier: A measurement used to indicate the thickness of fibers in a fabric. The higher the denier the stronger, though the type of material also plays a role. Types of Material: Most lightweight tents are made from nylon. Ripstop nylon is more resistant to tears and rips than traditional nylon. Dyneema is lighter, thinner, stronger, and more water resistant than nylon, but also more expensive. Waterproof and Coating: Tent specifications will often show a number in millimeters, followed by the type of coating. The number indicates how much water can sit on top of the fabric before it leaks. To repel water, an external coat of Silicone, DWR (Durable Water Repellant), or PU (Polyurethane) is often used also. Freestanding vs. Non-Freestanding: A freestanding tent can be set up without stakes or guy lines. This comes in handy when you need to pitch your tent on solid rock or ground that you can’t pound stakes into. Still, it is always a best practice to stake your tent in and set up guy lines for two reasons: 1) To keep it from blowing away 2) To keep the rainfly taut, so it does not leak. Doors and Vestibules: If you plan to sleep two or more people in a single tent, then two doors is better than one. Otherwise, someone will be left to climb over another to answer the call of nature. In addition, I am a big fan of vestibules, because they can be used to stash your backpack and save room inside. Floor Area and Interior Height: These specifications are easy to find and I have included them for the tents in this post. Interior height is a significant factor, especially for tall folks. It gives you an idea of how much difficulty you will have getting in and out of the tent. Poles vs. Trekking Poles: Some of the lighter tents on the market got rid of the need for tent poles. If you use trekking poles anyway, this is a great way to lighten your pack. In the event that your trekking poles break, this feature puts you in a precarious position. Below are my recommendations for the best lightweight backpacking tents. To make it easier to compare specifications, all of the tents listed are one or two-person. Nevertheless, you can find many of the models available in other arrangements. For good reason, the MSR Hubba Hubba NX has an exceptional reputation among backpackers. Although its heavier than many tents, it makes up for it with a bombproof design. Kim and I have weathered some powerful storms in this tent. As an added benefit, it is comfortable and roomy for two people (and one medium-sized dog). 2019 Updates: More durable Easton poles, more waterproof coating. Tip: Check out the MSR Carbon Reflex 2 for a stripped down version of the Hubba Hubba that weighs only 2 lb 3 oz. If you’re not familiar with Dyneema, it’s a goldilocks material that is lightweight but has a high strength-to-weight ratio. With its new Dirigo 2 tent, Hyperlite has combined five Dyneema fabrics to make the ideal backpacking tent. Put simply, it’s completely bombproof but weighs diddly-squat. You’ll be able to withstand high winds and wet weather in the Dirigo 2 without any issues thanks to its sturdy A-frame design and 100% waterproof fabric. It also features a bathtub floor that comes up 6 inches from the ground. You might shudder at this tent’s high price tag, but if you spend a lot of time in the backcountry, it’s absolutely worth it. You never know what conditions mother nature might throw at you. Note: The Dirigo 2 is a single-wall tent and requires two trekking poles and four stakes to pitch at minimum (eight recommended). The Aeon Li is another Dyneema tent that is lighter than the Dirigo 2 but doesn’t have as much floor space. To make up for that, it has two unique foldable corners called PitchLoc. These adjustable triangular structures allow you to pull two corners of the tent down closer to the ground. This gives you more space inside the tent and keeps your sleeping bag from reaching the ends of the tent. People who are tall will love this feature. Note: The Aeon Li is a single-wall tent and requires two trekking poles and four stakes to pitch at minimum (six recommended). If you’re looking for a traditional, two-door, two-vestibule tent that is freestanding and pitches with tent poles (not trekking poles), look no further than the Tiger Wall UL2. This tent is well made and should last a long time if you take care of it. It’s a bit cramped for two people but if one or both of you are small you can make it work. The Plexamid is yet another Dyneema tent that has a bit more floorspace than the Aeon Li. This comes in handy if you like to sleep with your pack in the tent instead of putting it under the vestibule. One major difference between the Plexamid and Aeon Li is that the Plexamid doesn’t have struts in the corners. This means it has less livable room but is easier to break down, put in a stuff sack, and stow in your pack. Note: The Plexamid is a single-wall tent and requires two trekking poles and six stakes to pitch at minimum (ten recommended). The REI Co-op Quarter Dome 2 is a great tent option for backpackers on a budget. It was redesigned in 2017 to provide more headroom and though its a squeeze for some, can accommodate two people. It is not the lightest tent around, but its sturdy construction will withstand windstorms and keep you dry in the rain. In recent years, the Big Agnes Fly Creek HV UL 2 has gained popularity because of its low price and low weight. The tent is advertised as two-person, but unless both occupants are tiny, works best for one. The tent’s bathtub floor is low to the ground, so there is a tendency for water to seep through during heavy rainstorms. To combat this, stake out the guy lines and increase tension to keep the rainfly taut. Among lightweight backpacking shelters, the Hyperlite Mountain Gear Echo II consistently tops the charts. The entire system weighs only 1 lb 13 oz and its modularity allows for even lighter setups. However, it does require trekking poles to set up. Made of Dyneema, the rainfly is more durable and waterproof than its competitors. Of the tents on this list, the Zpacks Duplex is the only comparable option in terms of performance. The one drawback of this tent? It is a pain in the a** to pitch. Also made of Dyneema, the Duplex offers outstanding rain and wind protection while remaining light and durable. The tent includes a sewn in bathtub floor and bug screen and requires trekking poles to set up. The spacious interior sleeps two comfortably and it includes two vestibules. Tip: Allow one to two weeks for the Zpacks Duplex to ship. 04/05/19 – Added new tents released in 2019 and removed older tents that are no longer available.